FKA Twigs, Spike Lee and a field of 500 glowing fireflies. Summer is officially over. We know that not just because it's March, but because, as has become custom at this time of year, Vivid Sydney has this morning announced its program for 2019. Get ready to be ensconced in projections once again — the festival of light, music and ideas is returning for 23 days and nights from May 24 to June 15. The first couple of tidbits from this year's program were handed to us a few weeks ago, with the announcement that The Cure will do four shows at the Sydney Opera House from May 24–28 — their only Australian shows this time round. Tickets have already been allocated via ballot, so we hope you jumped on that already. Carriageworks announced its first headline music act, too, with Rüfüs Du Soul taking over the arts precinct for three nights of electro bangers on June 13, 14 and 15. 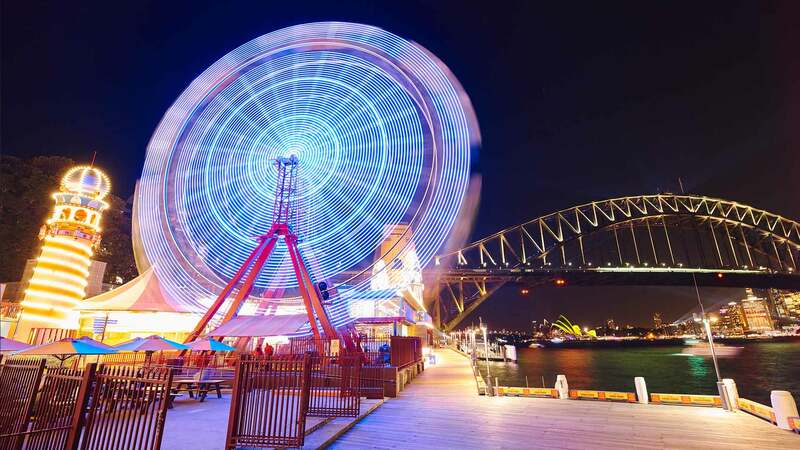 The most overt (and unavoidable) aspect of the program is the lights, and for the second year running their glow will head across the bridge to light up Luna Park. It will extend the reach of the CBD's Light Walk from Circular Quay, Darling Harbour and Barangaroo with a collection of 50 large-scale projections stretching along the walk's three kilometres. Should make good viewing from the ferry. Some of the immersive light installations you'll encounter throughout the precincts include a pop-up 'winter camp' in Barangaroo, a 'robot spaceland' in Darling Harbour, 300 large-scale animal sculptures in Taronga Zoo, a playable cascading harp in Chatswood and an immersive field of 500 fireflies in the Royal Botanic Garden. Pixar is also jumping on board this year, and will be projecting characters from its classic animated flicks onto the façade of the Argyle Cut in the Rocks. The Sydney Opera House's sails will this year be lit up with hypnotic images of Australian flora from LA artist and video maker Andrew Thomas Huang (who has previously created music videos for Björk), and Customs House will be transformed into an underwater wonderland — covered in neon projections of creatures found under the Harbour it overlooks. Vivid Music is once again in fine form. Joining The Cure for the Vivid Live component of the program at the Opera House will be folk rock singer Sharon Van Etten, performing hits of her poignant new album Remind Me Tomorrow, American singer Maggie Rogers and Perth up-and-comer Stella Donnelly, who's heading to the harbour city fresh off the back of the release of her new album Beware of the Dogs. Jónsi, from Icelandic post-rock band Sigur Rós, and Alex Summers (known as Jónsi & Alex) will be performing an ethereal show complete with a 21-piece orchestra and 12-member choir in the Concert Hall. The Opera House's super popular Studio Parties will also make their return. Last year's music lineup throwback came in the form of 90s hits Ice Cube and Cat Power. This year, British electronic group Underworld, best known for the house and techno hits they released in the 90s, will be flying the nostalgia flag. If the name is a little unfamiliar to you, you'll definitely recognise their single 'Born Slippy (Nuxx)'. Famed jazz musician Herbie Hancock, who started his career in the Miles Davis Quintet back in the 60s, will also be taking to the stage, performing hits from across his five-decade career. Another big one is a performance from FKA Twigs who's bringing her experimental dream pop to Carriageworks, and the City Recital Hall has a solid program this year, including a performance by Paul Kelly and James Ledger. Live music gigs will also be held across the city as part of the program, including at the Lansdowne, Ziggy's hairdresser and 107 Redfern. Vivid Ideas is, of course, back for those keen to delve into creativity, science and technology — and this year it's scored Spike Lee as its big-ticket speaker. Lee will be in town to chat about his personal political views as well as his award-winning 2018 flick BlackKklansman. There's plenty more where that came from, check the Vivid Sydney website for more details. 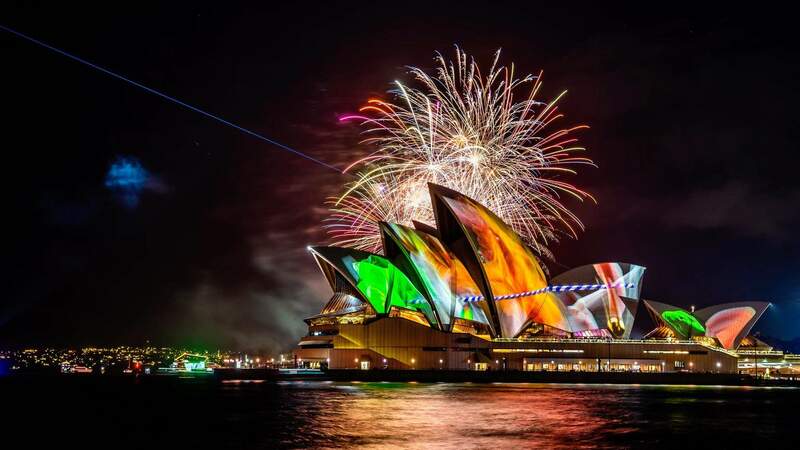 Vivid Sydney returns from May 24–June 15, 2019. Images: DNSW and Hamilton Lund.